When Amory Clay was born, in the decade before the Great War, her disappointed father gave her an androgynous name and announced the birth of a son. But this daughter was not one to let others define her; Amory became a woman who accepted no limits to what that could mean, and, from the time she picked up her first camera, one who would record her own version of events. Moving freely between London and New York, between photojournalism and fashion photography, and between the men who love her on complicated terms, Amory establishes her reputation as a risk taker and a passionate life traveler. Her hunger for experience draws her to the decadence of Weimar Berlin and the violence of London's blackshirt riots, to the Rhineland with Allied troops and into the political tangle of war-torn Vietnam. In her ambitious career, the seminal moments of the 20th century will become the unforgettable moments of her own biography, as well. In Sweet Caress, Amory Clay comes wondrously to life, her vibrant personality enveloping the reader from the start. And, running through the novel, her photographs over the decades allow us to experience this vast story not only with Amory's voice but with her vision. 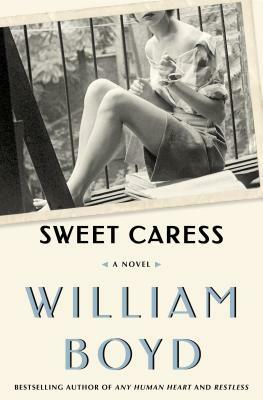 William Boyd's Sweet Caress captures an entire lifetime unforgettably within its pages. It captivates. William Boyd is the author of more than a dozen novels, including A Good Man in Africa, winner of the Whitbread Award and the Somerset Maugham Award; An Ice-Cream War, winner of the John Llewellyn Rhys Prize and shortlisted for the Booker Prize; Brazzaville Beach, winner of the James Tait Black Memorial Prize; Any Human Heart, winner of the Prix Jean Monnet and adapted into a Channel 4 drama; Restless, winner of the Costa Novel of the Year, the Yorkshire Post Novel of the Year and a Richard & Judy selection; Ordinary Thunderstorms and the Sunday Times bestseller, Waiting for Sunrise. William Boyd lives in London and France.